Aqua Hot Tubs offer a Service, whereby your hot tub is thoroughly inspected, cleaned and sanitised. Remember early detection of problems can prevent more considerable problems in the future. Wellis, Spaform, Hydropool, Jacuzzi, Sundance, Arctic Spas, Master Spas, Elite, Sunbelt, Hotspring, Cal Spas, Spa Crest, Coast Spas, LA Spas, RotoSpa, Dimension One, Mistral, Artesian Spas, La-Z-boy Spas, Elite Spas, Vita Spa, Premium Leisure Spas, Beachcomber Hot Tubs, Caldera Spas, Canadian Spa Company, Catalina Spa, Clearwater Spas, Dynasty Spas, Villeroy & Boch, Hydrofunspas, Marquis Spas, Leisurerite and Waterside Leisure. Simply book your Service and pre-pay over the phone. A full report will be completed during the service and any advisory points will be highlighted. Your service technician will always raise any advisory points with you and suggest the best course of action. Please ensure that your hot tub is full prior to our attendance. We need the hot tub full as we will chemically treat this water to flush through the pipework. We will then drain that water ready for us to refill with fresh. We will require access to normal plug-in power to allow us to operate our tooling We will need access to the main power switch for the hot tub; this is normally known as the RCD and is not the isolation switch located outside. We will need access to a water supply to use for filling the spa; we also request that a hose pipe is available. The labour allocation for any service will be one technician. In the event that two should arrive on site, you will only be charged as quoted. The inclusive price of any service is to undertake the listed actions as stated by service. The standard allotted time for this any service is up to 3 hours. Any significant time needed over this time may be charged for. For this reason, we ask that you inform us of any potential issues that you may feel we could benefit from knowing, such as restricted space, gazebo surrounds or difficult location. This information will allow us to provide you with a more detailed quotation for any non-standard works that may be required We will where possible remove and clean each jet internal, due to materials deteriorating over time some jets may either be, non-removable or removal of them may cause damage. We will always do our best to avoid this and will highlight this to you; however, jet internals that need replacing due to deterioration will be chargeable. A drain down and clean service. Recommended quarterly. – Empty, clean, rinse down and vacuum out the spa. 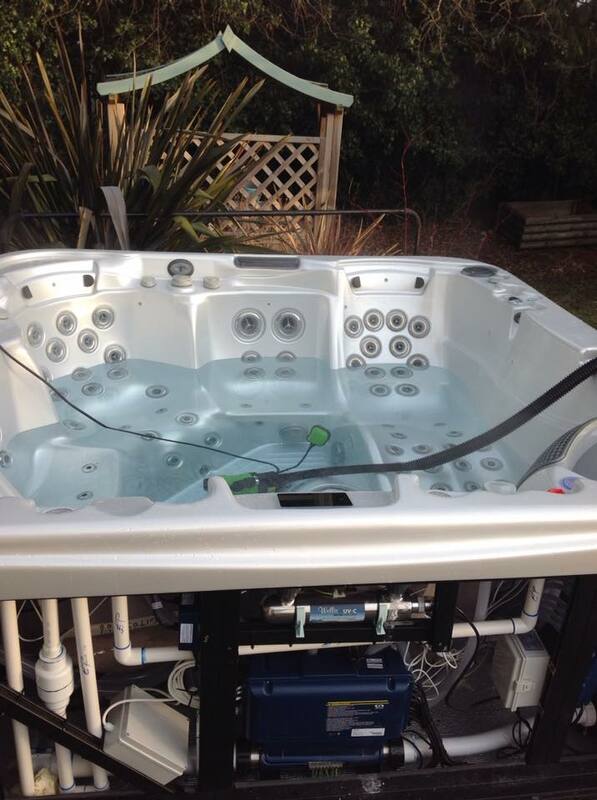 The Hot Tub is then made available to the customer to refill with fresh water and balance. If Chemicals or other accessories are required then these will be delivered along with the Service. – Biofilm Eliminator added to water on arrival, along with shock dose. – Filters are put into soak in cleaning solution then left to dry in dry storage. – Older filters may need to be replaced and are available at an additional cost. – Drain water from components. – We remove the inspection panel and drain all water from components, pipework, and most importantly the heater. – Clean the cover and replace. – Leave isolator switch in off position. Keep your Hot Tub in perfect condition with our annual Maintenance Plans. Plans include servicing, parts and discounts on chemicals and filters.